LAGUNA PARK is located at 5000A - 5000G MARINE PARADE ROAD in district 15 (Katong, Siglap, Tanjong Rhu) of Singapore. 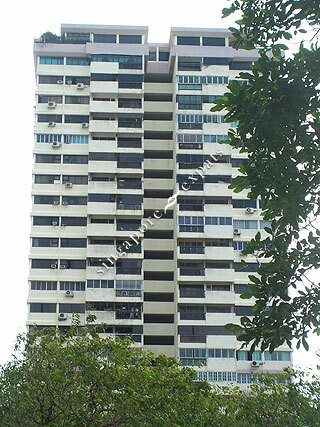 LAGUNA PARK is a 99-year Leasehold Condo development. Educational institutions like SEKOLAH INDONESIA, ROSEMOUNT KINDERGARTEN, ROSEMOUNT INTERNATIONAL SCHOOL, OPERA ESTATE PRIMARY SCHOOL, NGEE ANN PRIMARY SCHOOL and ST. STEPHEN'S SCHOOL are near to LAGUNA PARK. LAGUNA PARK is accessible via nearby BEDOK, KEMBANGAN and TANAH MERAH MRT Stations. Quiet Neighbourhood and conveniently next to Victoria School and East Coast Parkway.